Who buys cheap, buys twice. We are too poor to buy cheap, - Everyone knows these sayings, yes what about these claims? Is it cheaper to buy a cheap discounter tool every two years instead of buying an expensive branded product for many years? From this point of view, we would like to continue to take a look at the bargain offers. Lidl offers with the brand Parkside regular tools at very reasonable prices which are obviously very popular. 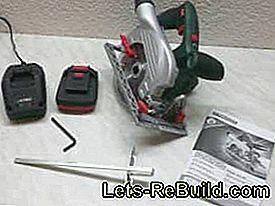 Currently, a small series of cordless tools is part of the program, which can all be used with one battery. 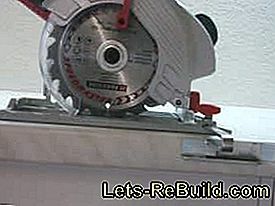 In the program, for example, the cordless portable circular saw PHKSA 18-Li B2 for € 59.99 cheap. Comparable brand models cost three times as fast. Can we even talk about "comparable" in this price difference or do the worlds differ widely in this case? Our next test will show it. At first glance, the packaging makes a solid and quite handy impression. All information can be taken and on the bottom are all the required technical information. Externally there is nothing to complain about. On the lid is a clearer Reference to the 18 V battery family to find the one who is justified and makes sense. After all, quite a few brand name manufacturers have recognized the trend and have implemented it with a large number of tools. 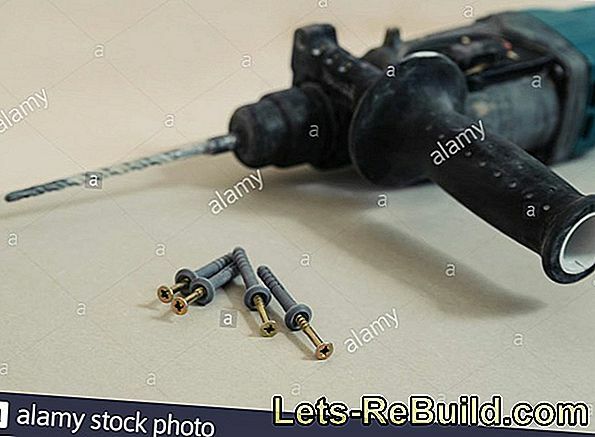 An advantage lies surely with the manufacturer, who must produce less different accumulators and additionally persuades the buyer to stay with his tools also in the future. But many buyers like to rely on consistent quality and save money with less different chargers or countless batteries, Battery families are very much used. Parkside is likely to be one of the first manufacturers of low-cost tools to jump on the bandwagon: If the quality is right and it pays to buy more tools, a good decision. Opened, the packaging content looks very interesting. The saw is held by two transparent half-shells, which clearly define the arrangement of the contents and make optimum use of the available space. That's how it works the cardboard is easy to use for permanent storage of the saw. With a purchase price of around 60 € to expect a suitcase would certainly be clearly too high. Those who consider using or building a different suitcase can certainly use the transparent shells for this as a deposit - a plus for this sophisticated and at the same time effective packaging. 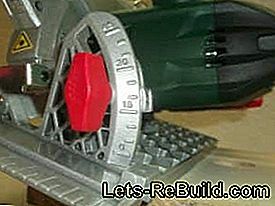 The supplied accessories are limited, which is not untypical for circular saws. 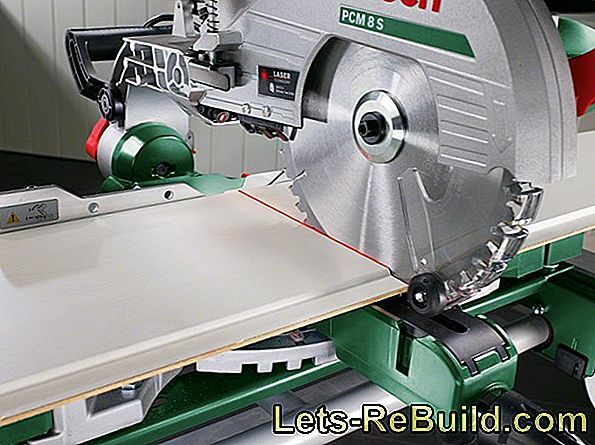 The delivery includes the cordless portable circular saw, a 18 V lithium-ion battery, a quick charger, a hexagon wrench for saw blade replacement, a dust extraction adapter and the obligatory rip fence. It is therefore contain everything that is needed. This point has mastered the Parkside saw with flying colors and so far no compromises have to be made by a low price. 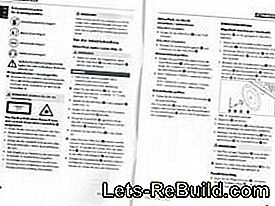 The cordless saw comes with a user manual in DIN A5 format, which despite seven languages ​​a clear impression retains. The front impact can be folded out and shows three images with an identification of all individual parts and controls. Clear and clear, every detail is recognizable. 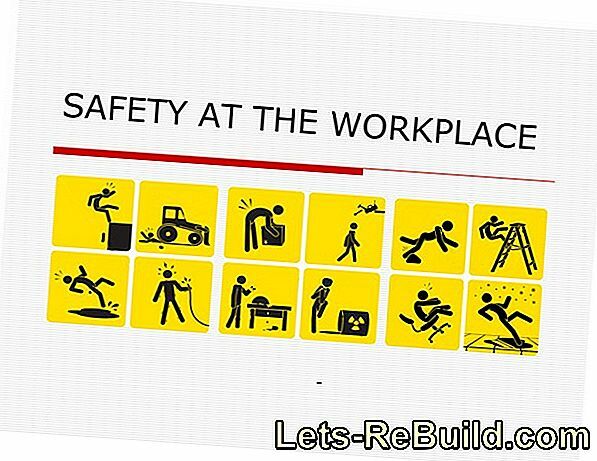 The following are the technical data, information on the scope of supply and the mandatory safety instructions for the workplace, handling tools, the electrical system and especially cordless tools. All content is clearly arranged and easy to read. The area for operating the saw has four pages and is very well explained with the part descriptions in the outer cover. Even one Specification for ordering a replacement battery is not missing. The shipping is as free as a specified service number. 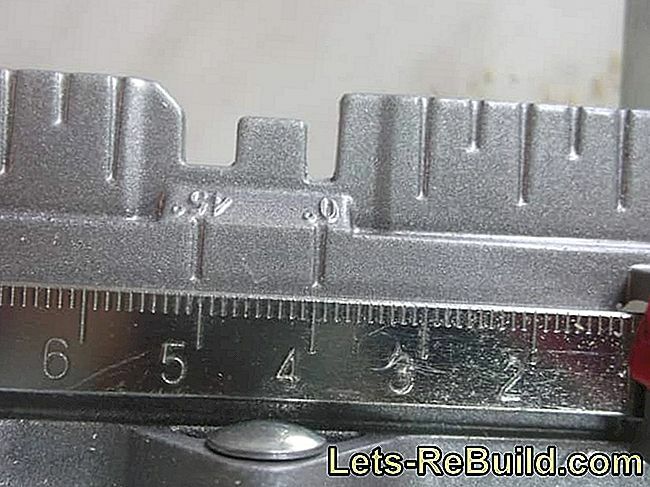 Anyone who has already held cheap tools in hand, certainly knows this brittle, smooth plastic, which looks very thin. Slightly glassy, ​​it gives the impression that you can see through the built-in technology and it is triggered somewhere, quickly bursts the first corner. Of these, the Parkside PHKSA 18-Li B2 is miles away. If it were not for the thick sticker with the Parkside lettering, one thinks to hold a good brand in your hand: A clean processing, a good grip and no cheap, peeling paper stickers - nothing is reminiscent of a discount store tool. 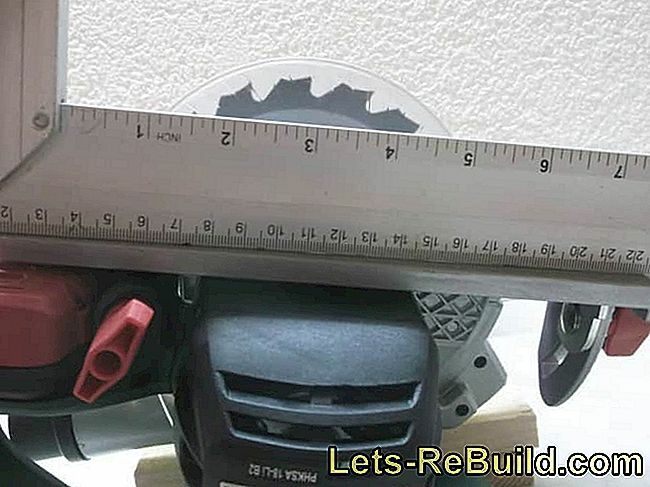 Rather the opposite is the case and the green, slightly rough surface is similar to a comparable cordless saw of a brand manufacturer - whether the intention is, we leave in the room, because it will certainly not be confused. 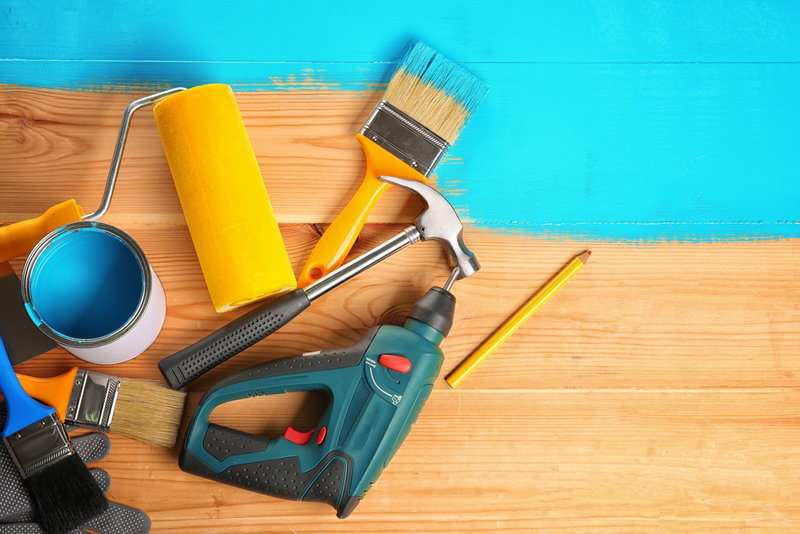 Parkside tools are currently available only through Lidl and the Lidl online shop, which can be ruled out the idea of ​​confusion. 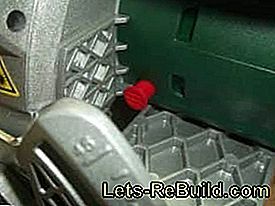 Striking are the red controls and levers, which - except for the battery bottom - only switch and adjustment options mark. These are easy to recognize, and even the most hidden locking button becomes clearly visible. All controls are easy to reach, Angular and cutting depth adjustment are smooth and the scales are easy to read. Likewise, the bottom plate has a clear cut mark with scale for 90° and 45° cuts. Only the blade guard is compared to some expensive models made of plastic, but looks very solid and not brittle. In this case, we therefore see, as well as some brand manufacturers, no concerns. 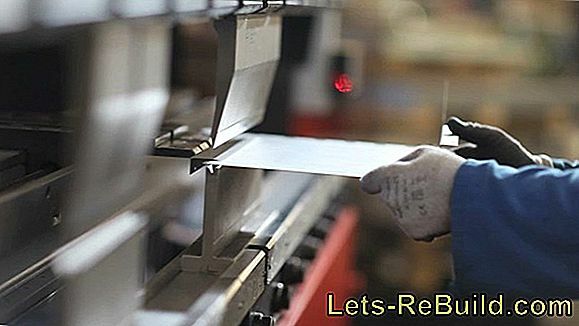 Interesting is the choice of the base plate, which consists of a molded steel sheet in many circular saws. Parkside relies in this case on an aluminum die-casting. Whether this is a good decision will show after the first unintentional fall and a possible break of the plate. 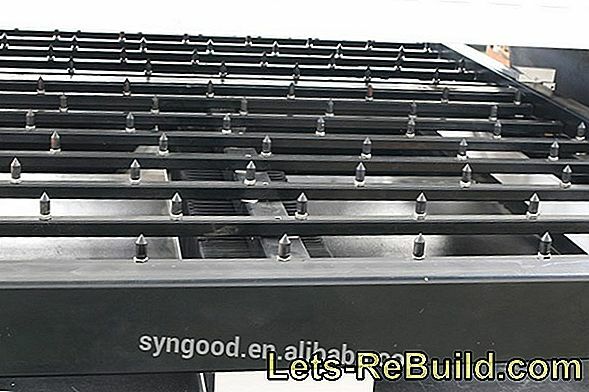 At the moment this decision is very good, because the base plate is absolutely straight and even, which can not be said of many sheet steel base plates. In addition, the base plate has a small grub screw, with which the 90° position of the saw blade can be precisely adjusted. 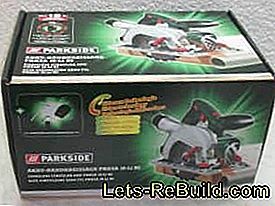 What is missing with many cheap cordless tools, offers the cordless portable circular saw by Parkside - a battery status indicator. This is not in the device, but in the battery, which can thus be checked even when removed. 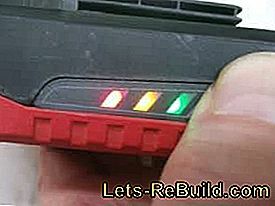 One red, one yellow and one green LED clearly indicate the current state of charge. Equally clear is the laser display for cutting. How exactly this works, will show the practical test. Our first cutting test was the laser cutting guide, which the Parkside cordless circular saw has passed very well. For this purpose, a 16 mm chipboard was touched and then a guide rail (also Parkside) aligned. This then served as a stop and the test setup illustrates very well that on the one hand the laser display is very straight to the base plate and on the other hand also very accurately cut on the displayed line. Whether the laser gauge on the left, right or center of the cut edge is used, is probably rather incidental with a 1.6 mm thick saw blade. 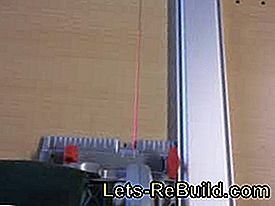 In our test tool, the laser display was approximately in the middle of the saw cut. 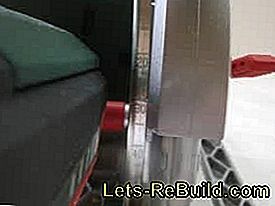 An adjustment is not specified in the manual, but is probably possible with a small side screw. In the first cut, the saw from Parkside shows no weaknesses and shines with a clean cut result. Our focus is still on accuracy and applies the cut depth and angle adjustment. For this purpose, the angle adjustment is set to 45° and then the cut wood twisted against each other. If the cutting angle is exactly 45°, then a right angle of 90° should result. If the cut value also differs by only 1°, this test clearly shows that, due to the merging of the cut edges, the test angle deviates by 2°. The result is alarmingly accurate. 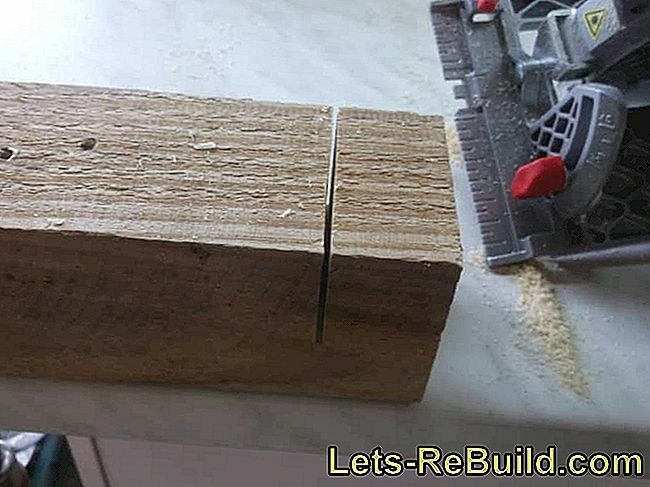 Even if the depth of cut has not been quite sufficient and therefore the cut pieces have to be put together a bit offset, the result is an absolutely exact right angle. Also the cut depth setting amazes us a bit. 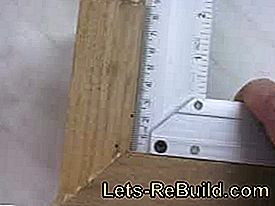 The set cutting depth of 30 mm results in a test with the depth dimension of a vernier caliper 30,0 mm. That means a tenth of a second. How are such results possible with a simple imprinted scale? Do we really have a discounter tool here? Interesting is the test of the parallel stop. As with many saws, it is very far forward, which he only specifies the exact measure when applying. A straight guide of the saw must be taken care of manually. We were able to breathe a sigh of relief when checking the scale of 40 mm. Finally, we found a mistake! The sawn piece measured only 38.6 mm and was thus 1.4 mm too small. 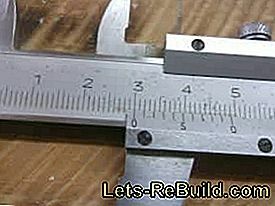 However, on closer inspection, it was noticeable that the measurement was not set so exactly by almost half a millimeter and the marking line is in the middle and not on the right side of the cutting guide and thus the right cutting edge. 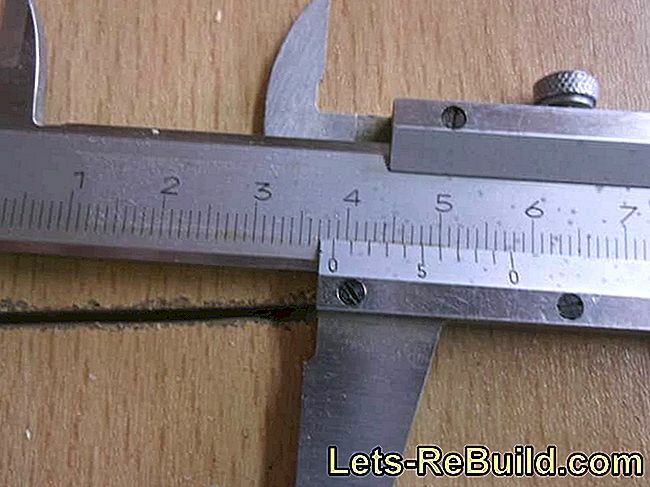 If the two carelessnesses are added together (half saw blade width 0.8 mm + setting error 0.4 mm) remains an inaccuracy of 0.2 mm, which one can safely neglect. Here, too, the Parkside PHKSA 18-Li B2 is absolutely brilliant. After the saw with a sharp saw blade was allowed to show how exactly it works, there is now no consideration and everything is sawn, what can be found. A few cuts with maximum delivery through a spruce wood beam, multiplex, hard beech glued laminated timber, acacia, 38 mm spruce glulam and also a branch found in maximum depth of cut were sawed. Except for a speed reduction in the slightly harder beech glulam, the result was the same everywhere: The Parkside saw was not impressive. 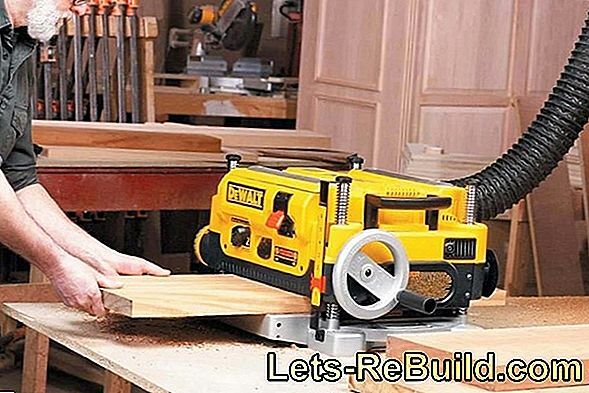 Sure it could be brought to the limit with thick hardwood, but we would like to test under typical workshop conditions and as a relatively small cordless circular saw will certainly not be used for heavy hardwoods. As a note, we have to mention that the battery indicator light is still green after all cutting tests and the specified maximum cutting depth of 48 mm is not really the maximum - our measurement was 50 mm. We did not expect it and surely no one would have been angry to have to cut back on a cordless circular saw for about 60 €. 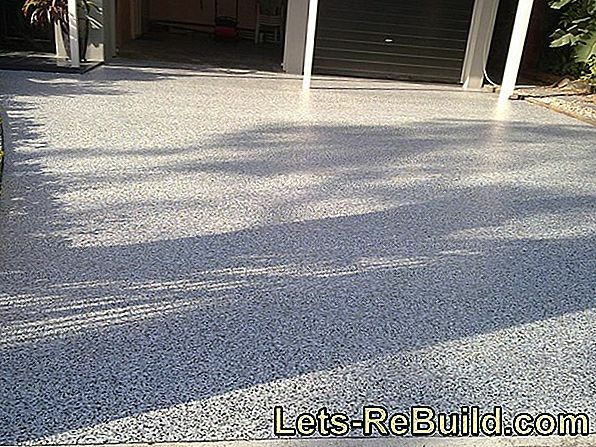 But a comprehensive test has shown that even at this very reasonable price no defects have to be accepted. 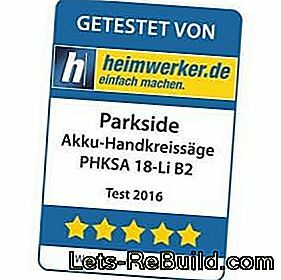 The Parkside PHKSA 18-Li B2 offers more than enough power for a cordless saw and does not provide any weaknesses in terms of angle or depth of cut adjustment. The laser section indicator indicates the exact cutting path and the dust extraction works extremely effectively. 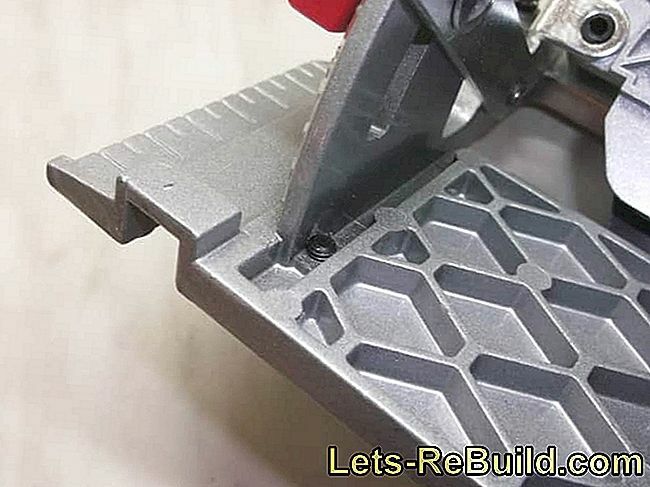 With an absolutely straight baseplate, she cuts everything that comes under her with a precision that she can not different from an expensive professional device. Our conclusion can only be called with five stars, whereby the price does not have to be included. Even in a higher price range, the bargain of Lidl would have reached a full five stars. 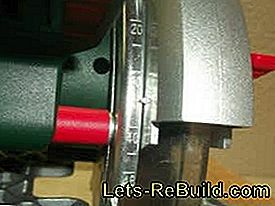 Generally valid sayings about discounter tools are therefore not, because this cordless circular saw proves that good does not always have to be expensive. This is accompanied by Lidl with a 3-year warranty. The processing material of a 3d printer is called filament (pla, abs, pa). It differs in composition and properties. Metal separation with the bosch multitool: the all-rounder bosch pmf 250 ces tested on a table leg made of steel. A jigsaw belongs in every workshop. 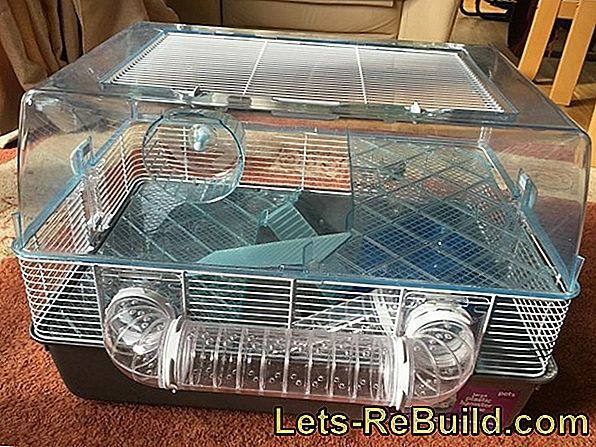 It is inexpensive to buy and meets many requirements. 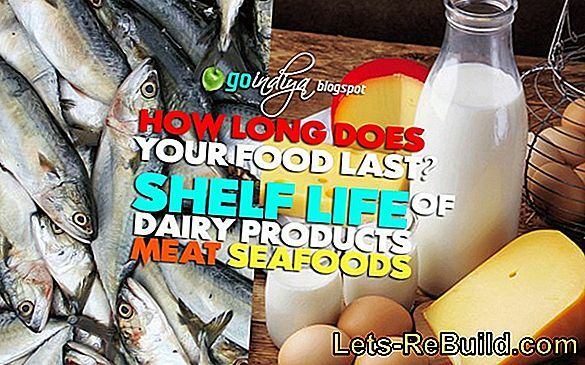 Nevertheless, there is a lot to consider. 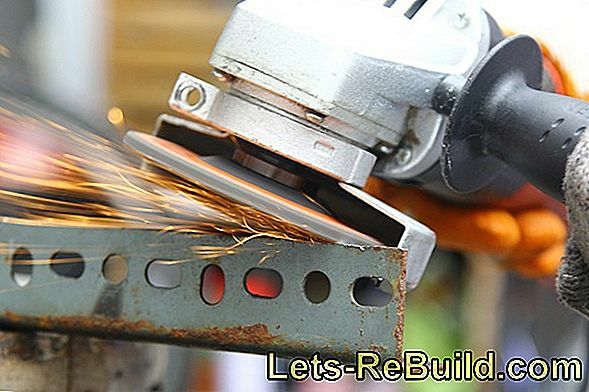 ➤ current glass cutter comparison 2018 on lets-rebuild.com. 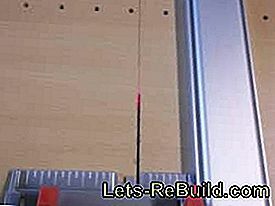 Compare now and buy top glass cutter cheap! Tool cases should contain the right tools, provide good quality and remain affordable. We test a tool case from kwb.